With many of us relying increasingly on fast connections, experiences that slow us down are harder to come by. I recently talked with a patron about the pleasures of browsing the library shelves just to see what might have appeal at that moment. With so much internet searching focused on finding specific information or products, the simple act of browsing can slow down the pace and allow us to stumble upon new authors, ideas and concepts. Browsing has benefits for children, too. They can discover books about their favorite hobbies, or can find totally new genres. The old expression “don’t judge a book by its cover,” while having some merit, actually has a flipside—frequently it is the covers that draw us in, with their imaginative designs and cover art. Many a book has been read because the cover was simply captivating. I remember browsing my school library as a child, and the only reason I picked up a specific book was the captivating cover which featured a mythical half-horse creature. 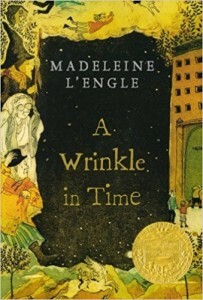 That book was Madeleine L’Engle’s “A Wrinkle in Time,” which became my favorite. I’d probably never have picked it up without that cover. Perhaps slow browsing won’t make it as a concept the same way that “slow food” did a number of years ago, but if you give it a try at your local branch of Capital Area District Libraries, you may discover something new and enriching just the same. Capital Area District Libraries’ Mason branch is located at 145 W. Ash Street in Mason. For more information, call 517-676-9088 or visit cadl.org.